The Second World War - or as I like to call it: Inevitability. Totalitarianism is a system of government in which the rulers try to control all aspects of peoples' lives. In other words, those at the top seek total control over everyone's lives. Total control requires dictatorship, so totalitarian societies are run by strong leaders or juntas (military governments), who demand obedience. Individual freedoms and rights, so important in democratic societies like ours, are not protected in totalitarian states. Fascist dictatorship came to power in Italy, one of the victorious allies of World War I. Italy's new Fascist leader,Benito Mussolini, was initially admired by some because he resolved serious economic problems and secured Italy against communism. Mussolini adopted the title of Il Duce. Adolph Hitler, an admirer of Mussolini, adopted a similar title, der Führer, when he led Nazi Germany. Both terms mean "the leader" and indicate the dictatorial nature of fascism. The most powerful totalitarian states of the 20th century were Communist Russia and Nazi Germany. "Fascism combats democratic ideology, and repudiates it. Fascism denies that the majority, by the simple fact that it is a majority, can direct human society; it denies that numbers alone can govern by means of a periodical consultation, and it affirms the inequality of mankind, which can never be permanently levelled through universal suffrage." "The Nazis, for example, used democratic elections and coalition governments to seize control. Hitler achieved power because so many German citizens did not recognize, or believe, the signs that should have alerted them to his plans. Studying how this happened will help you to recognize the signs, should they appear again. To protect your rights, you must recognize threats to them." The point is this: the information above is from the provincial website. It claims that people didn't know what Hitler planned to do. This is a presentist view. We assume that people did not share the views of Hitler about foreign conquest, the Jewish people, and other questionable beliefs. But, how is that possible when his book was selling, and people were talking about him and the great things he was doing? My point? People knew his views. People didn't act to prevent him (APPEASEMENT). The world was scared of another global conflict. It is absurd to assume that all of the nations didn't know, and even more so to assume that the people of Germany were unaware of his plan. The Fascist StateMussolini used various means to control the Italian people. His secret police watched citizens' activities and enforced government policies, although not as savagely as those in Nazi Germany, which you will learn about later in the module. He also used propaganda to convince people to support him and Fascism. 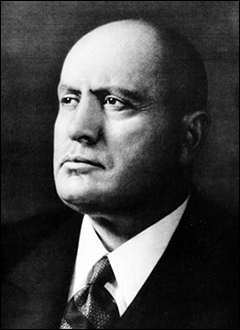 His simple slogans, such as "Mussolini is always right," indicate that he expected no argument when it came to obeying his government. He also used youth organizations and schools to indoctrinate young people in the ways of Fascism. Mussolini, however, did not achieve the level of control that his counterparts did in Germany and Russia. He did keep some of the institutions that had existed before he came to power. He retained the King (although only a figurehead) and kept the armed forces. The Catholic Church was not only accepted, but it was during this era that Italy recognized Vatican City as a sovereign state. The Italian Fascist regime, although one of the totalitarian governments of Europe, was certainly not in the same league as her bigger and more powerful counterparts: Russia and Germany. Russia descended into revolution and then civil war. In the summer of 1918 as the civil war raged, the Bolshevik Communists (known as the "Reds") killed the Tsar and his entire family to prevent anti-Bolshevik forces (known as the "Whites") from trying to put Nicholas II back in power. The civil war put the Russian economy in a continuing state of crisis. At first, the Bolsheviks organized factory workers into battalions to confiscate food from peasants and distribute it in the cities, where a food crisis was threatening further revolts. This did not end the problems. 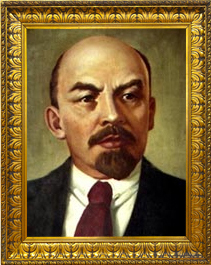 In 1921, Lenin introduced the New Economic Policy (NEP) to end the food shortages and stabilize production. In the same period, all political opposition to the Bolsheviks inside the Communist Party was suppressed. One-party rule was established. Josef Stalin, the General-Secretary of the Party, directed the Cheka (the secret police, later called the GPU, then the NKV D, and still later the KGB), to get rid of those who opposed the Bolsheviks. 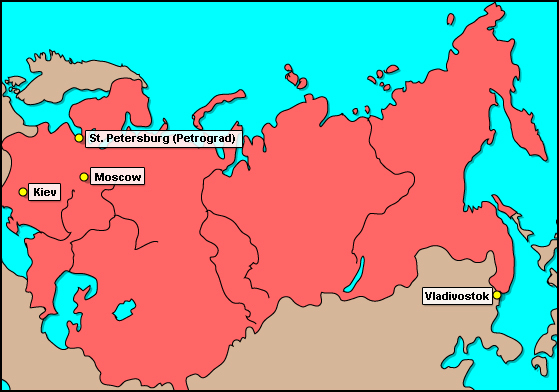 In 1922, Russia officially became the Union of Soviet Socialist Republics (USSR), a name it would use for most of the century. After Lenin's death in 1924, Josef Stalin used his position as General Secretary of the Communist Party to eliminate all those who might challenge his leadership. Stalin created a system of forced labour camps, called gulags, where millions of Russians would be imprisoned for any offense, including the mere suspicion of unacceptable ideas. Many people would die there. By 1929, the USSR was a dictatorship under Stalin's totalitarian rule. Stalin never stopped pursuing those he saw as his enemies. In 1936, he began a new round of arrests and persecutions that became known as the Great Purge. Seeking to purge the country of any opposition to his power, Stalin eliminated anyone who he feared might challenge him. An early Nazi attempt to take over the Bavarian government by force failed. Hitler was tried and jailed. From then on, the party used the democratic system to try and gain power in the Weimar Republic. German politics in the 1920s was not like the campaigns we are familiar with in western democracies today. Political parties kept private armies to beat up their opponents and to break up opposition meetings. 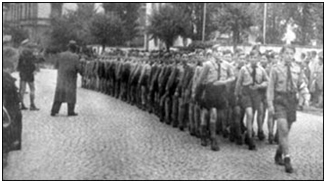 The Nazi Party used its Sturmabteilung (SA) paramilitary forces (storm troopers, or Brown Shirts) for these purposes. The Nazi party's platform was largely a negative one. From the beginning, the Nazis attacked the terms of the Treaty of Versailles, which had ended WW I. They wanted a return of German lands, an end to reparations payments, and the right to rebuild German military strength. The Nazis also glorified the German people as a superior race. 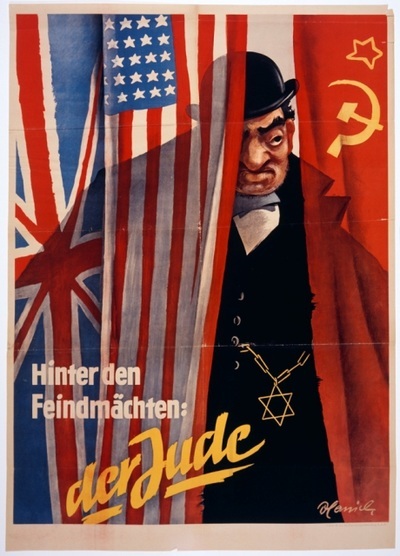 They blamed Germany's defeat and post-war economic problems on the Jews, who they said controlled politics and the economy. The Nazis also hated communists, who they claimed were controlled by the Jews, and made them a major target for the SA's violence. The Nazi party's platform, Hitler's powerful speaking ability, and the use of force against opponents, attracted many supporters during the 1920s. The Nazis appealed to many traditional beliefs and prejudices in German society. Strong leadership and the restoration of a powerful Germany attracted many Germans who were tired of chaos. In addition, the German economy was in a crisis. After the war, millions of disbanded soldiers were left without means of support. They became ready recruits for any leader, like Hitler, who promised better times. 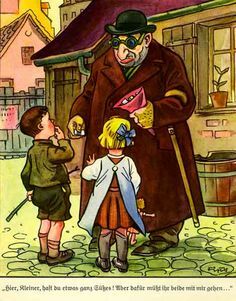 In the mid-1920s, Germany experienced massive inflation (skyrocketing prices) that wiped out savings and drove the middle classes into poverty. The government seemed unable to do much about these problems, while Hitler promised strong leadership to solve the crisis. The worldwide spread of the Great Depression following the 1929 collapse of the American stock market put millions more out of work and further strengthened Hitler's appeal. To teach Nazi beliefs to the next generation, Hitler made it compulsory for all German children to join youth groups. There were groups for all ages, beginning at age six. Groups for boys emphasised physical development, military skills, loyalty to the leader and Nazi ideas. Groups for girls stressed physical fitness, Nazi beliefs and domestic skills. Boys aged 14 to 18 joined the Hitlerjugend (Hitler Youth); girls aged 18 to 21 joined the Bund Deutscher Mädel (League of German Maidens). To understand a bit of what life was like for young people under Hitler, look carefully at the photos of the Hitlerjugend and Bund Deutscher Mädel and consider the following questions. What kind of clothing are the boys in the Hitlerjugend wearing? What kind of clothing are the girls in the Bund Deutscher Mädel wearing? What are the boys of the Hitlerjugend doing in the photo? What are the girls in the Bund Deutscher Mädel doing in the photo? How did these things help prepare youth for service in the military or to the nation? Although the youth in the pictures might be taken for scouts or guides, Nazi youth movements were designed to teach unquestioning loyalty to Hitler, belief in Nazi racism, and physical fitness. They prepared German boys for the military and girls to be the type of wives and mothers needed to continue the "superior race" (called the "Aryan" race) and prepare it to follow Nazi ways. What aspects of this photo have a military feel? Racism was central to Nazi beliefs and to the society they created in Germany between 1933 and 1945. Hitler clearly stated his views on race in Mein Kampf, his book of political ideas. These ideas shaped life in Germany under his rule. If we are to divide mankind into three groups, the founders of culture, the bearers of culture, the destroyers of culture, only the Aryan could be considered...the first.... ...it is no accident that the first cultures arose in places where the Aryan, in his encounters with lower peoples, subjugated them and bent them to his will. .... As long as he (the Aryan) ruthlessly upheld the master attitude, not only did he remain master, but also the preserver and increaser of culture. Any crossing of two beings not at exactly the same level produces a medium between the level of the two parents. This means: the offspring will probably stand higher than the racially lower parent, but not as high as the higher one. The result of all racial crossing.... ...is nothing else but to sin against the will of the eternal creator. July 18th 1925, Volume One of Adolf Hitler’s philosophical autobiography,Mein Kampf, is published. It was a blueprint of his agenda for a Third Reich and a clear exposition of the nightmare that will envelope Europe from 1939 to 1945. The book sold a total of 9,473 copies in its first year. Hitler began composing his tome while sitting in Landsberg prison, convicted of treason for his role in the infamous Beer Hall Putsch in which he and his minions attempted to stage a coup and grasp control of the government in Bavaria. It ended in disaster, with some allies deserting and others falling into the hands of the authorities. Hitler was sentenced to five years’ imprisonment (he would serve only nine months). So there it was: War with France, war with Russia, the elimination of “impure” races, and absolute dictatorship. Hitler laid out his political agenda a full 14 years before the outbreak of war. Volume Two of Mein Kampf, focusing on national socialism, was published in 1927. Sales of the complete work remained mediocre throughout the 1920s. It was not until 1933, the first year of Hitler’s tenure as chancellor of Germany, that sales soared to over 1 million. Its popularity reached the point where it became a ritual to give a newly married couple a copy. In 1935, the main body of race laws, usually referred to as the Nuremberg Laws, took effect. These laws clearly showed the intentions of Nazis towards those they considered to be weak in society, and particularly towards those of Jewish ancestry. Summaries of some of these early laws are provided here. Throughout the 1930s, treatment of the defenceless and the Jews grew worse and worse, until the policy of extermination—the Final Solution—was fully implemented during World War II. What groups were to be sterilized? Based on the language of the law, what would the reason for sterilizing these groups be? Who could be a citizen of Germany? What group was singled out in the law to have privileges taken away? How did the Nazis treat Jews who were already working for the government? Was a person's Jewish status defined by religious practice or by heredity? 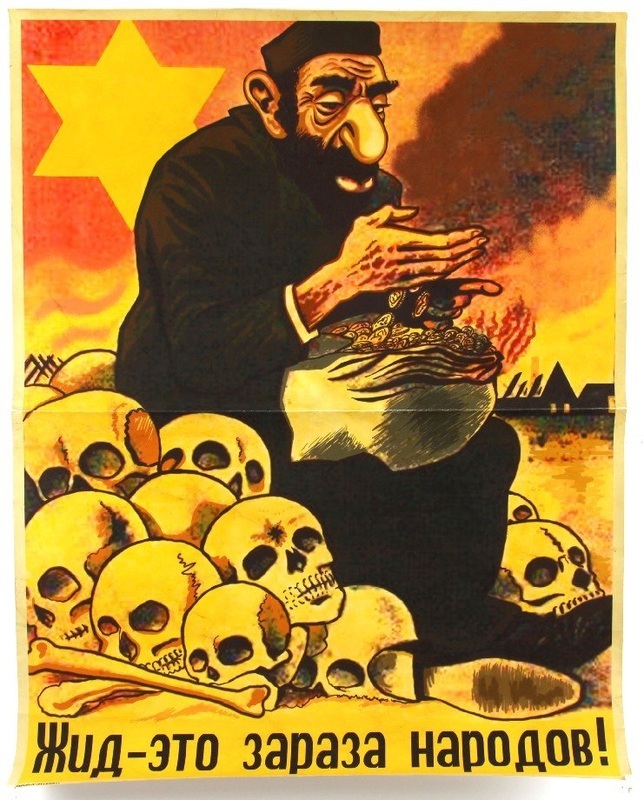 As a prelude to the Final Solution, Jews in the Third Reich (another name for Nazi Germany: Germany under Hitler from 1933-1945) were depicted as evil and subhuman, deprived of their rights, and discriminated against throughout the 1930s. Attacks on Jews became common. 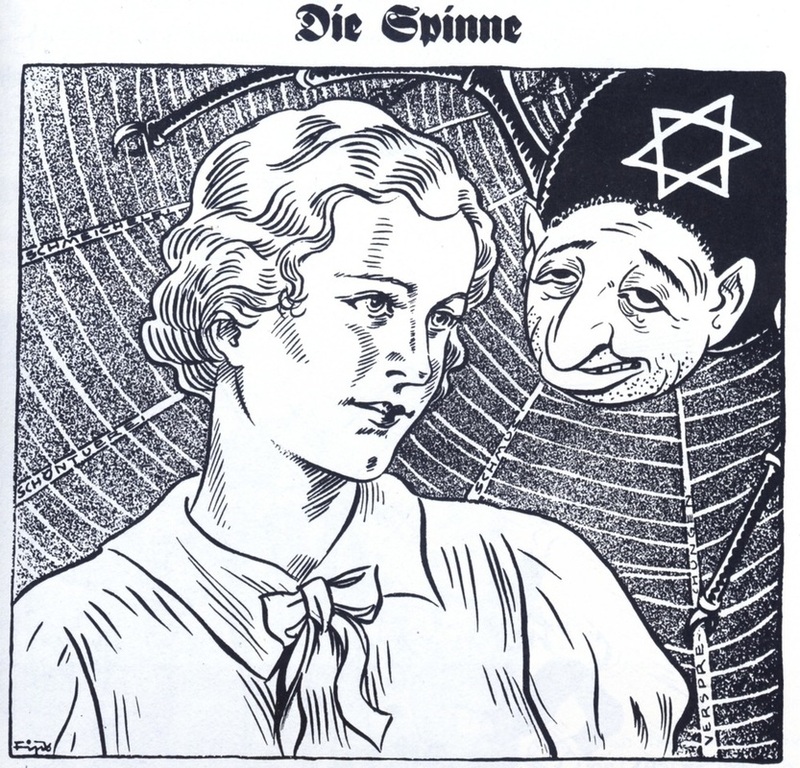 As openly anti-Semitic attitudes and behaviour became more common, German Jews were robbed of the means to make a living. They were also fined and imprisoned simply for being Jewish. From 1933-35 German rearmament could have been halted by any of the major powers. This did not happen. The British has problems of their own in the Empire. During World War I, the British had issued the Balfour Declaration, it express support for a national home for the Jewish peoples in Palestine. During the 1930s, many fled to Palestine from Germany. The British were also dealing with colonial issues in Africa and India. One example was in Kenya. Large tracts of land had been taken away from Kenyans and given to white settlers. In the 1920s there were protests. The Kikuyu Association was founded by farmers to block further land confiscation. In India there was a movement for independence. Mohandas Gandhi had been actively pushing for independence in the Indian National Congress. The Indian people referred to him as Mahatma, which means "Great Soul". Gandhi was an early proponent of non-violent protests and his methods would later be used by some groups in the civil rights movements in the United States. In 1935, Britain passed the Government of India Act, expanding the role of Indians in governing themselves. This was not independence, but a step forward. Gandhi would continue with non-violent actions. "Passive resistance is a method of securing rights by personal suffering; it is the reverse of resistance by arms... For instance, the Government of the day has passed a law which is applicable to me. I do not like it. If by using violence I force the Government to repeal the law, I am employing what may be termed body-force. If I do not obey the law and accept the penalty for it breach, I use soul-force. It involves sacrifice of the self." He began by attacking opposition inside Germany, and rebuilding the military in violation of the peace settlements of 1919. He formed alliances to protect Germany and to weaken the western allies, who might oppose German attempts to capture more territory, further violating the Treaty of Versailles. 2) Unite all German speaking peoples. 3) Give Germans lebensraum, or "living space"
He said in a conversation with Hermann Rauschning in 1934, "We need space to make us independent... IN the east we must have mastery as far as... Iran. In the west, we need the French coast. We need Flanders and Holland. Above all, we need Sweden. We must become a colonial power. We must have see power equal to that of Britain." At a secret meeting in 1933, Hitler announced to his generals that the army would be tripled in size (from 100,000 to 300,000). A new air ministry would build 1000 aircraft and secretly train pilots in civilian flying clubs. By March `1935 the new air force, the Luftwaffe had 2500 aircraft. At this point he decided there was no point in rearming secretly. Hitler announced publicly that the army was to increase to 550,000 men. There would be compulsory military service for all men. The Saar coal mining region, which had been taken from Germany in the Versailles Treaty, held a plebiscite (vote). The options: Remain in control of the League of Nations, become a part of France, or return to German control. 9 out of 10 voted to return to Germany. This was the first step to uniting all Germans in Germnay. In 1936, German troops marched unopposed into the demilitarized Rhineland region on Germany's border with France. In 1938, Nazi troops crossed the border into Austria and incorporated that country into the German Reich. This event was referred to as the Anschluss, or reunification. "The whole history of Austria is just one uninterrupted act of treason... This must...end. The German Reich is one of the Great Powers, and nobody will raise his voice if it settles its border problems... You don't think you can move a single stone in Austria without my hearing about it?" His other demand was that an Austrian Nazi, Seyess-Inquart, be given a government post. Schuschnigg organized a plebiscite in response, asking if they wanted "An independent and social, a Christian and united Austria." Hitler was furious and demanded the vote be postponed, and that Schuschnigg resign as chancellor. If he refused, then Hitler would march his troops in. Rather than see war, Schuschnigg resigned and so did all but one government minister, Seyess-Inquart, who then invited the German army to occupy Austria. Nazi demands to hand over the Sudetenland (German-speaking parts of Czechoslovakia) to German control led to an international crisis. In September 1938, at the Munich Conference, Britain and France agreed to the take-over of the predominantly German Sudetenland, in Bohemia. In fall of 1938, it looked like this appeasement might create a lasting peace. 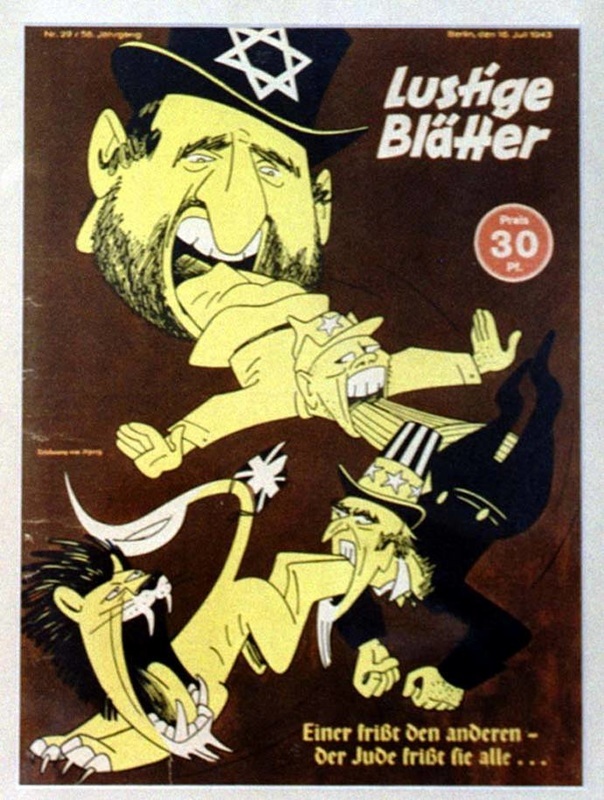 The failure of the League of Nations to keep the Treaty of Versailles intact, Britain's agreement to allow Germany to have a navy of half it's size and equal in submarines, the inability to stop Germany rearmament, and the League's inability to stop Italy's movement into Ethiopia, or Japan's military movements in China / Manchuria, showed that peace was fragile. Yet it seemed like Germany might be slowing down. Then in March 1939, Nazi troops occupied the rest of Czechoslovakia, and that country ceased to exist. This was Hitler's first seizure of lands that did not have a large German population. It was now clear to the world that his foreign policy aimed to conquer new lands for the Reich. ​From his racist point of view, this land was populated by inferior people, such as Slavs, Jews and Gypsies, and it could be put to better use serving the needs of the "master race." Of course, this meant his troops would have to conquer the land. After this Germany turned its attention north to Poland. On March 29, 1939, the British government saw that appeasement would not work. Germany would continue to take. They then guaranteed the Polish border against German aggression. Only 4 days later, Hitler gave secret orders to invade Poland by September 1st. On April 7, 1939, Mussolini and Hitler agreed to help one another in times of war. On August 23, 1939 there was an agreement between German foreign minister Ribbentrop and Russian foreign minister Molotov. 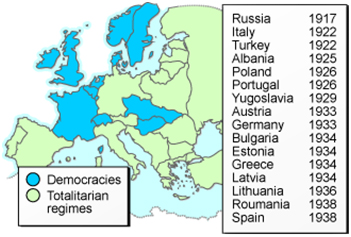 1) If Germany attacked Poland, the USSR would remain neutral. 2) The two countries agreed to divide Poland between them. We know that Germany had no desire to do this, based on its concept of lebensraum. They would take parts of the USSR once thety were done with the agreement. On September 1 1939, the Nazis faked a crisis and their forces crossed the border into Poland. To Hitler's surprise, Britain demanded the withdrawal of German troops from Poland, threatening to go to war if he refused. Since Germany is geographically located between Britain and Poland, the British could not easily get troops to Poland if they declared war. Assuming that in the end they would not go to war with the Reich, Hitler ignored the ultimatum. Despite the circumstances, Britain did honour its word. On September 3, 1939, Britain declared war on the Third Reich, and World War II began. The concept of total war means that the entire population is mobilized as part of a nation's war effort. Even those who are not fighting on a battlefield are involved in some way in the war effort. For example, even though people were not fighting as soldiers, they could play a support role by working in factories making munitions, working on farms to support the troops, making bandages, participating in ladies aid groups, and so on. The work required to support a total war effort is endless. In a Total War, each side targets both the enemy's soldiers on the battlefield and the entire enemy population by all possible and available means. This includes the bombing of civilians, attacks on passenger ships and the internment of those considered a threat. After all, in total war, all civilians are seen as contributing to the war effort. the huge amount of territory being contested. the sheer numbers of active combatants and civilians involved in the war effort. the general disregard for the damage being done.